Got 60 Seconds? This Homemade Mayonnaise Recipe is Super Easy! 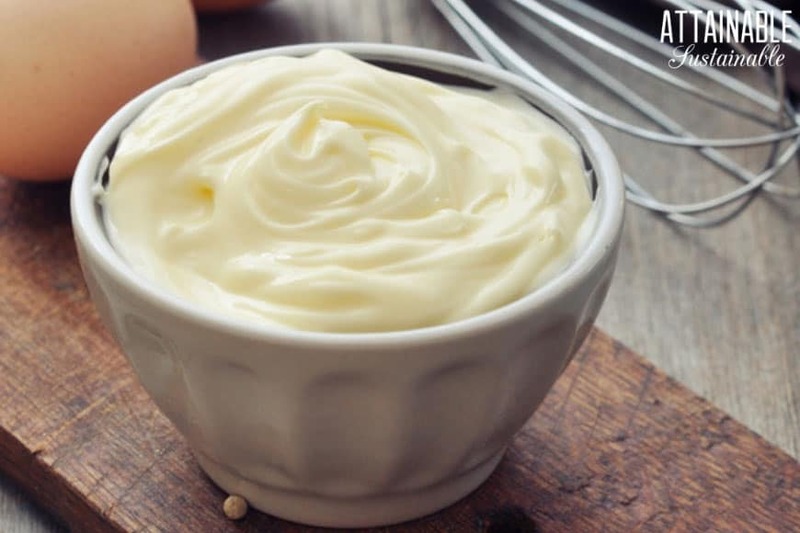 This homemade mayonnaise recipe is easy to make at home — emulsification is a snap, as you’ll see — and is free of GMO ingredients. This version is quite similar to Best Foods brand mayonnaise. I’ve been avoiding famous mayonnaise brands because they’re typically made from canola or soy oil, both products made from crops that are commonly genetically modified. I spent a small fortune on a “certified non-gmo” canola mayonnaise a couple of months ago, only to find it was terrible a really good replication of Miracle Whip. NOT what I was looking for. So I started making my own, experimenting a bit with different ingredients until I found a combination that tasted like the spread we’re used to. If you were paying attention in science class, you know that oil and water don’t mix. Put the two in a container and the oil will rise to the top, creating two very distinct layers. Even when you shake a jar of vinaigrette salad dressing, the ingredients will separate after sitting for a time. Oil and water don’t mix — unless they’re emulsified. Emulsification is the process of blending oil and water (or other liquids) so that they remain cohesive. The main ingredients for this homemade mayonnaise recipe are egg and oil. Plop them together in a container and they’ll separate. But the egg yolk is an emulsifier. Force that egg yolk into the oil with a blender or food processor and the two will become one, making a lovely, thick, creamy mayonnaise. There is a certain margin of error with the need to emulsify the ingredients, but using a room temperature egg really seems to increase the rate of success. Out of the dozen or so batches I’ve made, all but one have emulsified into a nice thick spread. The one that didn’t emulsify? Was turned into a splendid salad dressing. After having great success with this homemade mayonnaise recipe, I found myself making failed recipe after failed recipe. The egg and oil combined to make a thin, runny mixture. Definitely NOT what I was going for. What was wrong? Why did the emulsification process stop working? Turns out, I had been using a room temperature egg during the summer months to make successful batches of homemade mayonnaise. The temperatures were around 80 degrees Fahrenheit. A room temperature egg when the temperature is 60 degrees? Simply isn’t warm enough. I combated the problem by letting the egg sit in a bowl of very warm water for 10-15 minutes. While I don’t know the science behind it, that simple trick put me back on track to a thick, emulsified mayonnaise. 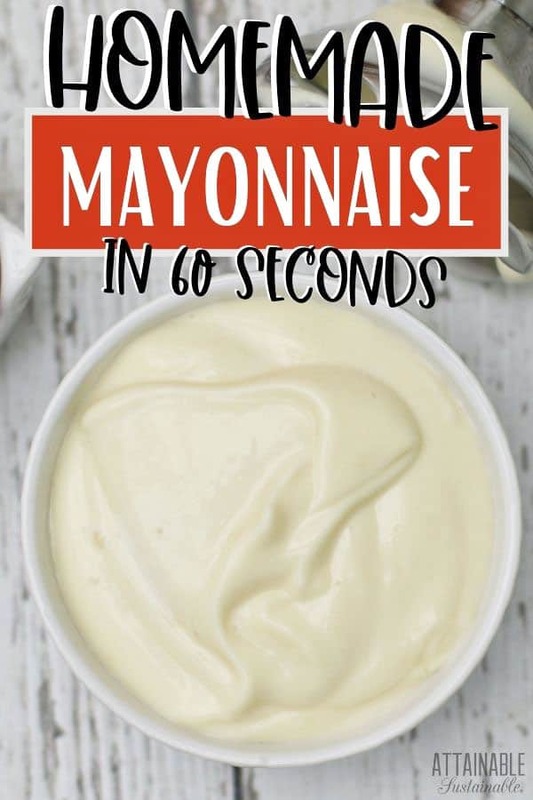 Depending on your equipment, it can take from 60 seconds to 15 minutes to make this mayonnaise, start to finish. My favorite (read: the easiest) way to make this homemade mayonnaise is with an immersion blender. It’s faster, since there’s no need to slowly drizzle the oil into the egg mixture. And it’s easier to clean up. Simply combine the ingredients in a wide mouth glass jar, pulse the immersion blender a few times, and then blend it into a creamy dressing. The food processor and blender methods require a bit more patience. To use either of these methods, you’ll combine all of the ingredients except the oil and then slowly drizzle the oil into the other ingredients. Slowly. 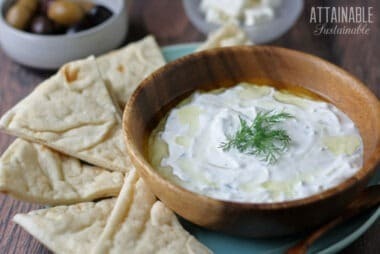 A successful batch of mayonnaise will net a thick, spreadable condiment that’s great for spreading in sandwiches or for adding to homemade potato salad. ★ Did you make this homemade mayonnaise recipe? Don’t forget to give it a star rating below! This homemade whole egg mayonnaise recipe is easy to make at home and is free of GMO ingredients. This version is quite similar to Best Foods brand mayonnaise. There are three different ways to make this homemade mayonnaise recipe. Pour the oil directly into a quart-sized, wide mouth canning jar to the one-cup mark (no measuring cup to wash). Add remaining ingredients. 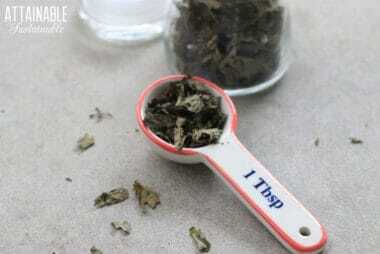 With the blade portion of the blender sitting at the bottom of the jar, pulse three or four times. Now hold the power on while moving the blender up and down in the jar. You'll have nice, thick mayo within 30 seconds. Add all ingredients except the oil to the blender container. Turn machine on (I use a medium low speed on my Vitamix) and s l o w l y pour in the oil through the feed tube. I mean drip by drip. Or at the very least, the thinnest stream you can possibly pour without adding it drip by drip. Adding the oil slowly is the key to emulsification. It should take about 10 minutes to add the oil. Many food processors have a feature that most people don't even know about. The little push tube? Look to see if it has a hole in its base. This is for slowly adding oil! Same drill as above - all ingredients except oil go into the food processor bowl. Put lid in place, turn the machine on and pour the oil into the push tube; it will regulate the flow of oil. It's easier on the arms, faster because of the steady oil stream instead of my hit and miss pouring, and easier to get all the mayo. This homemade mayonnaise recipe makes a little more than a cup. It lasts a week or so in the fridge. 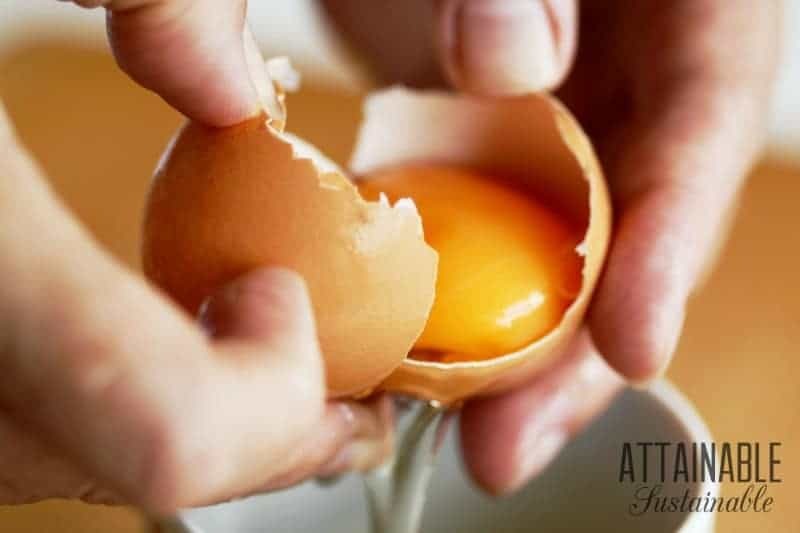 If it's cool at your place, drop the egg into warm water to bring it up to about 80 degrees in temperature. If the egg is too cool (as your home may be during winter months) you'll have a hard time emulsifying this homemade mayonnaise. I’ve made my own in the past and it really is not hard to do. I haven’t done it in a while but probably should do it regularly to avoid the icky stuff. Best Foods will keep forever and is an easy “pantry” item. With this, I find I make it as I need it. It’s definitely a habit to get into making it, but I’ve been pretty consistent! I used to make mayonnaise when I lived in France. I admire you for putting in the extra time and effort. What I would like to know is whether the small amount of GMOs in canola oil will do damage to my intestines if I am careful with all the other stuff I eat. Do you know the answer to this question? Oh, Alexandra. I wish we KNEW. It’s not something that’s studied, in part I think, because Monsanto, et al, don’t want us too informed. We do know. 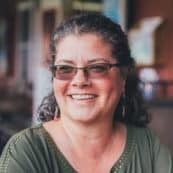 There are plenty of independant studies, http://www.responsibletechnology.org. I’ve been making my own for a few years and have some tips. A very important factor is to make sure none of your ingredients is cold or your mayo won’t emulsify. The warm side of room temp is best. So that egg needs to sit out of the fridge for a bit to warm up. I actually use powdered eggs bc it’s so convenient and they are pasteurized, which is important to people who don’t raise their own chickens (I personally wouldn’t eat a raw egg from the grocery store, which is why I raise my own). I’ve tried it in the blender (I have a blendtec) but it’s not my favorite way to make it. It’s too hard to get it out. I love doing it in my food processor. I never knew that about the hole in the bottom! But to regulate my oil stream I bought one of those condiment bottles at a kitchen store for a dollar I will have to try the hole in my pusher next time. I use the super light olive oil. You can’t taste it. Mine keeps in the fridge forever as long as it doesn’t end up in the too cold part of the fridge that freezes sometimes. I keep it in the door in a mason jar to keep it safe. Freezing will make the mayo break (separate), which can be fixed. Any acid works fine, like white vinegar or lemon juice. The only difference is taste preference. I use mustard powder just bc that’s what I like. I also add a touch of raw organic sugar. Probably a 1/2 tsp to your recipe. Thanks for all that, April! I’m with you on the food processor being more convenient than the blender. I love my VitaMix, but my one complaint is all the bumps in the container – too hard to get every last drop! I’ve had amazing experiences making my own mayo, and I’ve also failed miserably at it. Maybe b/c the ingredients were too cold? Thanks for the tips Kris (and April)! Never realized making mayo was so easy – thanks for the recipe! This sounds very good. Do you know what the fat content is? Heather, no, I don’t have nutritional data on this. I’ve never tried to make my own mayo. I can do a decent salad dressing now and then. Oh, and I have made jelly / jam / marmalade, but that’s a whole other thing. Quite aside from the evil ingredients, the world seems to be divided between the Miracle Whip people and the Best Foods people. It’s as bad as Ohio State (YAY!) vs. Michigan (BOO!) Home made is indubitably better and why don’t I make it more often? Uh, lazy is the word that comes to mind. I’ve often wondered how this was made from scratch. Thanks for the insights. This looks like a pretty easy recipe, I will have to give it a try! We use a Cuisinart Smart Stick blender … just put all the ingredients in a pint jar, put the blender in to the bottom, turn it on, and as it begins emulsifying you slowly bring the blender up through the mixture and out the top as it all turns to mayo. Only takes about 30 seconds to make it this way. Ditto. Except my stick blender is just a cheap Hamilton Beach hand-me-down from a friend. This method works like a charm EVERY time and it is super fast. I would never go back to any other way. This is the way I do it and I’ve never had a failed batch. Store it right in the jar I made it in. It’s easy and delish. Here’s video that shows it. Scroll down and watch. Easy! I just wanted to share my experiment with everyone. I decided to try using the immersion blender method instead of the food processor. I used my own recipe with the powdered whole eggs (that works like a dream in my food processor), and for whatever reason, it does not work with the immersion blender. I tried it twice and no dice. Then I took my double failed mixture and used fresh egg yolks and it worked right away. I put the egg yolks in another jar and poured the failed batch on top so the blender would be pulling the oil into the eggs. I thought I’d share that in case anyone had ended up trying it with powdered eggs. I’m a convert! This is so fast and WAY fewer dishes to wash. I’m making it in the mason jar I intend to store it in. Can’t beat that! Thanks to those that shared it! For gourmet mayo, save that t. of water until all the oil is emulsified and add it at the last moment. Your spread will not look or taste oily because there is a microscopic layer of water around each oil drop. I haven’t made mayo for years, but the best batch ever was made within an hour of the hen laying that egg. For those of you with chickens, it’s worth listening for the cackle. I use grapeseed oil for other cooking and glad to hear this was good. Now that I have a stick blender, this should be really fun. Interesting – I’ll have to try adding the water later! I’m going to have to give this a try–I have wondered how to best use that little tube feeder on my Cuisinart. Sometimes as a substitute for mayo I used pureed white beans. You can still add a bit of mustard for flavor. you post are always interesting and you have such a great community of people who comment too. thanks for this. and my question: how demanding would it be to make by hand –that is without a belnder or food processot? Do you have to use the olive oil? Can I substitute coconut oil? I’ve not tried coconut oil, but my mantra is “What would happen if…?” If it doesn’t emulsify, you can always use it as a salad dressing. Why mustard? I have never purchased a mayo that has mustard as an ingredient. The problem for me is I hate mustard, and I wonder if you can taste it when this recipe is completed. Any ideas? It gives it a flavor boost, but you don’t taste “hey, mustard!” It won’t ruin the mayo if you opt to leave it out, though – it’s there purely for flavor. i noticed you use homemade mustard but not homemade apple cider vinegar? apple cider vinegar is crazy easy to make–especially if you have kids leaving apple cores all over the house. you can make it with apple scraps, honey, & water. it takes about a month to ferment, but it is so simple. I know! Part of the reason is we don’t have apples growing locally (they’re not a Hawaii crop). I’ve tried pineapple vinegar, but it was…yucky. So yummy and easy to make.